And I’m on route South America! It’s not that I’m not excited, deep inside I am. It’s just this trip was always going to be a mission testing my boundaries and capability to handle my death anxiety, and now a lump in my gut is trying to convince me I’ve sacrificed my life for a couple of months with adventure. That I’m not going to get to return home. How does one deal with that? By countless of support (by someone telling me “you’re going to come home”) and by turning the angle around: life needs to be filled with adventures that are worth the risks. Besides, if I can’t take 11weeks, what does that say about the local children’s conditions? They are the one and only reason I didn’t back out. They’re what’s important. Still, I’ll admit I cried when I left home. I felt like a dead woman walking. I could not get enough of the mountains and trees. Yet, once I was on the plane I started feeling more excited for the two months ahead with some occasional alone time with new cultures, nature and my beloved backpack. I read somewhere that when packing you should “put all your clothes and money on the bed, take half of the clothes and twice the money”. I’d take 1/3 of the clothes. – My sleeping bag and sleeping bag linen so the bed bugs won’t bite. – Enough medicine to be stopped in the security check. Did you know the Malaria vaccine needs to be taken as a tablet every single day while you’re in an area with a risk for malaria? It really makes sense why it takes so long and so much money for charities to fight it. – And new travel essentials. Upon learning that my beloved Kiwi had disappeared in Phuket, one of my closest friends sent me a stuffed lion teddy to keep me safe on my travels. My travels so far have really shown me who cares for me and who’s my closest; I couldn’t have done it without their support and it always makes me just as excited to get home again (be it the UK or Norway) as I am to be travelling. If not even more. I have to give a shoutout to Holiday inn on Sipson Way by Heathrow. Great room, cheap price and with helpful staff who both carried my luggage to my room and cooked my food separately to avoid it mixing with ingredients I’m allergic too. They made it even harder to leave the UK again. A thumbs down on the journey must be my incapability to speak Spanish. I had a hilarious/embarrassing run in with a worker at the airport in Madrid who looked very much like the funny bad guy in Spy Kids. While I very wrongly said “Que pasa?”, being the only Spanish phrase I could think off (😩), he switched over to speaking even better Norwegian than what I speak at times. I was absolutely baffled. And very embarrassed over my Spanish skills. I’m going to really struggle with those. Everyone clapped as we landed and I shed one tear. It’s a reaction I’m going to have with my anxiety; but it also makes me appreciate things so much more once I’m safe again. Actually feeling slightly more optimistic about this trip now! After landing in Peru, i discovered I had made the rookie traveller mistake of not removing the region blocking on my card. Sleeps on the streets definitely flashed before my eyes, but I got it sorted now. Sort of. I was damned lucky I had taken out some dollars at Gatwick though…Never. Ever. Forget. 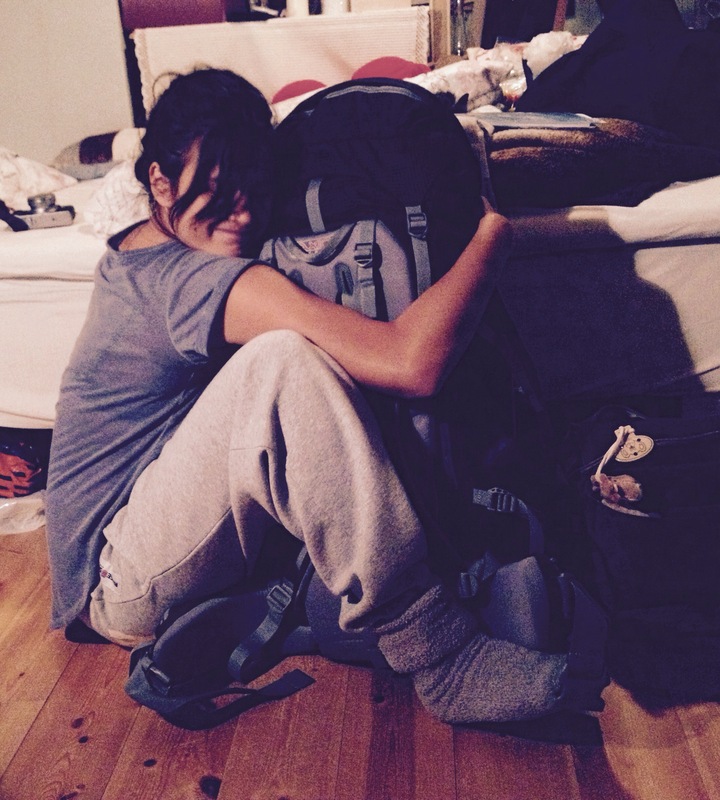 What’s your worst travelling nightmare? Previous Post Happy New Year; what to expect in 2015! Next Post Flying high or sleeping right?